Apply for current openings with the company by filling out and submitting the online True Religion job application form. Red the instructions posted in the below section to learn how to search for current openings and fill out/submit the application. 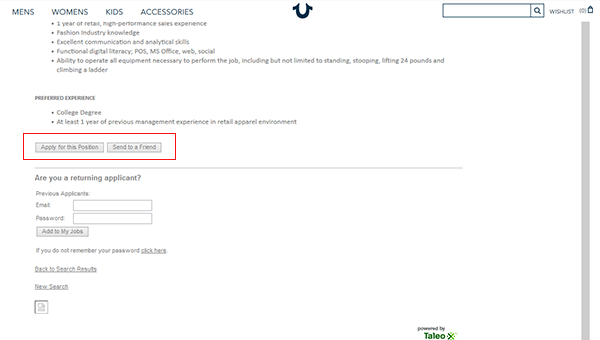 Corporate and retail positions can both be applied for online (via the company’s careers site). 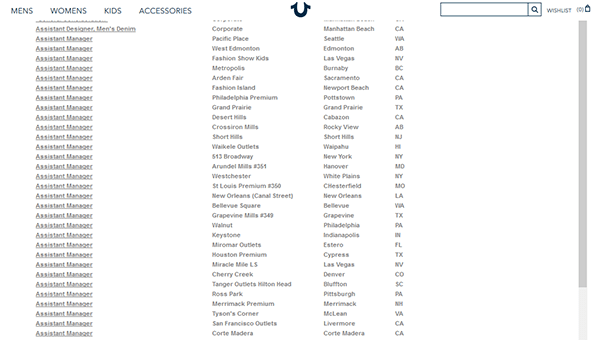 About the Company: True Religion is an American fashion designer/manufacturer headquartered out of Manhattan Beach, California. The company was founded in 2002 and sells its products mainly in U.S.-based department stores (such as Bloomingdales, Nordstrom, etc.). Step 1 – Access the company’s main careers page by clicking on this link. Note: The above link will load in a new tab/window within your web browser. Step 2 – Click the “Find Open Positions” button. 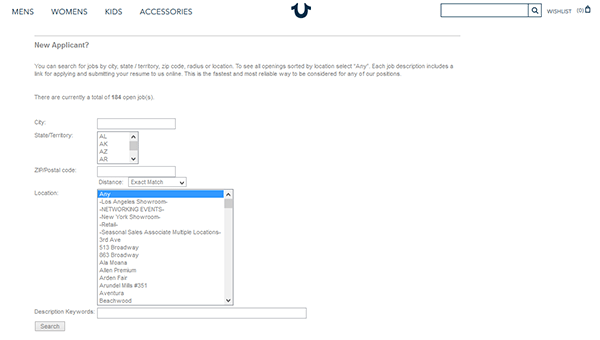 Step 3 – Scroll down the page and then enter/select a city, state, zip code, location, or keyword into the input fields. Click the “Search” button to load the results. Step 4 – Press the title (link) of the position that you want to apply for to go to the next step of the process (and learn more about the career). Step 5 – Review the subsections on the page (e.g. job purpose, role, minimum qualifications, etc.) to learn more about the position. 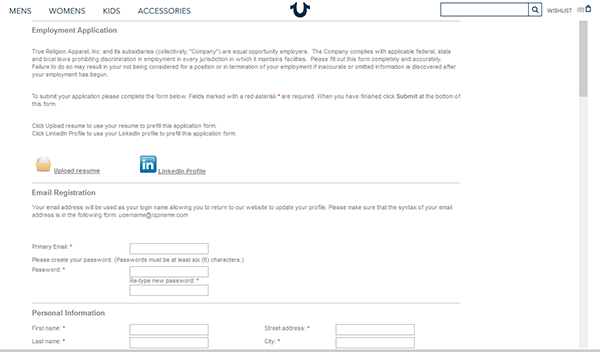 Scroll down the page and press the “Apply for this position” button as outlined in the below screenshot.